Rihanna was in Barbados on Thursday for the unveiling of her street Rihanna Drive. The Bajan government has been planning to rename the street after the famous pop star for months now and its finally happen. 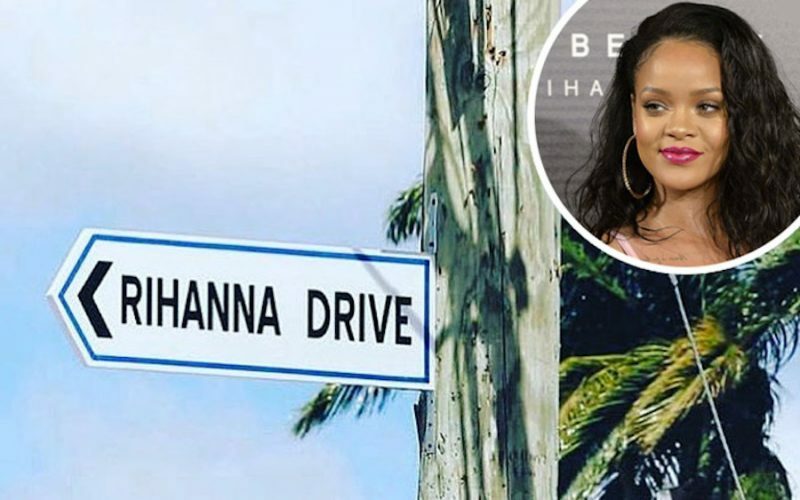 The street was formerly named Westbury New Road but citizens campaigned for the government to change it to Rihanna Drive in honor of the most famous star ever from the island. The 29-year-old pop star was honored with placard with a heartfelt message from the hometown queen. Rihanna is also expanding her empire by launching a new Fenty Beauty makeup line that features 40 different shades. The cosmetics line has been a huge hit since its debut in September.